Parts of the Rotherham borough could benefit from a multimillion pound investment in ultrafast 5G networks as a joint bid with Sheffield aims to capture Government funding. The Urban Connected Communities Project, a key part of the Industrial Strategy and the next step in the Government's 5G Testbed and Trials Programme, will develop a large-scale, citywide testbed for wireless 5G infrastructure. Sheffield City Council is leading on a bid to secure funding to test how new technology can make urban communities inherently safer, greener, more efficient and more attractive places to live. 5G is a term used to describe the fifth generation of mobile communications technologies. It is not yet fully developed but it is set to be a wireless connectivity solution that will enable thousands of users to get online, all at once, and all benefit from ultrafast speeds. It is the closeness of the transmitters, unlike 4G where they are far apart, that will create an "always on" connectivity. The investment in new network infrastructure is also seen as key to the success of innovations like autonomous vehicles and industrial digitalisation. It is on the so-called "Industry 4.0" aspect that explains the inclusion of the Advanced Manufacturing Park (AMP) in Rotherham, and the wider Advanced Manufacturing Innovation District (AMID), in the bid. The University of Sheffield's Advanced Manufacturing Research Centre (AMRC) is pioneering the coming together of cyber networks, with physical networks, to create new autonomous systems. Using big data, analytics and high power computing can help industry to understand its systems and production lines to gain efficiency and quality to improve the product and competitiveness in the market. The AMRC has demonstrated the idea through virtual reality and smart manufacturing. Rotherham town centre is also included in the bid. Here, Rotherham Council is progressing plans to provide free WiFi. 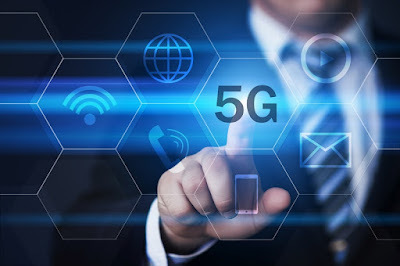 With a pot of £200m from the National Productivity Investment Fund (NPIF), the Government has already distributed £25m to pave the way for a future rollout of 5G technology in the UK. The winning bid for the Urban Connected Communities Project will be trialling a variety of initiatives, such as video consultation and remote health treatment; real-time monitoring and management of traffic and public transport; and the use of augmented reality. Related to the point about the AMRC, the project could also focus on: "Maintenance of manufacturing assembly lines through use of robotics and augmented reality would enable millions of measurements per second to be taken to predict when parts need replacing or rerouting to improve productivity." Digital Minister Margot James said: "This is a huge opportunity for an urban area to become the flagship of our ambitious programme to make Britain fit for the future and a world leader in 5G. "Trialling 5G at scale across an entire city is a chance to prove the economic benefits predicted from this new technology, test different methods of deployment and boost the connectivity of ordinary people working and living there." Speaking on the Sheffield Digital Podcast, Mark Gannon, director of Business Change and Information Solutions at Sheffield City Council, said: "The Government want to demonstrate that the UK can produce a city with the latest technology and test lots of amazing innovations as part of the Industrial Strategy - part of improving productivity. "There is potentially up to a hundred million quid to invest in a single place. The call came out recently and it has to be led by a local authority so we have decided that we will lead it. "The geography that we are going for is Sheffield city - not just city centre, but the whole city - and we are going to include the Advanced Manufacturing Park and the centre of Rotherham aswell. So that will be the urban area - the wider conurbation with the innovation corridor and the AMRC."